A group of researchers in China and the U.S. has created a 3D-printed model of a cancerous tumor to help discover new anti-cancer drugs and better understand how tumors develop, grow, and spread throughout the body. The model consists of a scaffold of fibrous proteins (gelatin, alginate, and fibrin) corresponding to the extracellular matrix (support structure) of a tumor, in the form of a grid structure 10 mm in width and length, coated with Hela* cervical cancer cells. Current models for studying tumors are 2D (on a flat plane), consisting of a single layer of cells. Could 3D-printing make it possible to create a more realistic representation of the environment surrounding a tumor? Do the cancer cells remain viable (alive) after printing? How well do the cancer cells proliferate? How do the cancer cells express the MMP protein family (which are used by cancer cells to break through their surrounding matrix and help tumors spread)? How resistant are the cancer cells to an anti-cancer drug (paclitaxel)? The results showed that the 3D model had characteristics that were more similar to those found with an actual tumor, compared to 2D models. 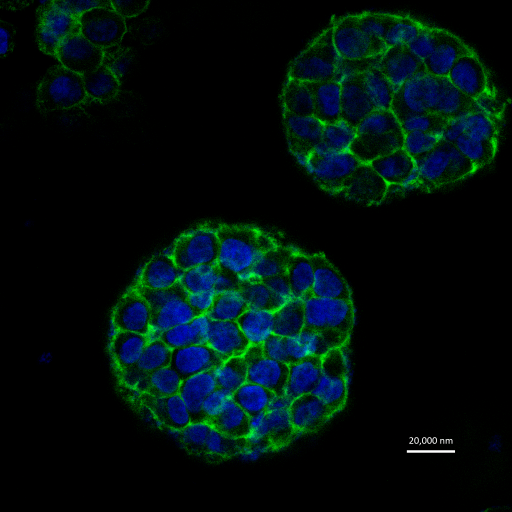 The cells tended to form cellular spheroids, instead of monolayer cell sheets in the 2D culture. The cancer cells showed a higher proliferation rate, higher protein expression, and higher resistance to anti-cancer drugs. And 90 per cent of the cancer cells remained viable (a higher rate than in 2D models). The study was published April 11 in IOP Publishing’s journal Biofabrication. * Hela cells are a unique, “immortal” cell line originally derived from a cervical cancer patient in 1951. Due to the cells’ ability to divide indefinitely in laboratory conditions, the cell line has been used in significant scientific breakthrough studies over the past 50 years. Advances in three-dimensional (3D) printing have enabled the direct assembly of cells and extracellular matrix materials to form in vitro cellular models for 3D biology, the study of disease pathogenesis and new drug discovery. In this study, we report a method of 3D printing for Hela cells and gelatin/alginate/fibrinogen hydrogels to construct in vitro cervical tumor models. Cell proliferation, matrix metalloproteinase (MMP) protein expression and chemoresistance were measured in the printed 3D cervical tumor models and compared with conventional 2D planar culture models. 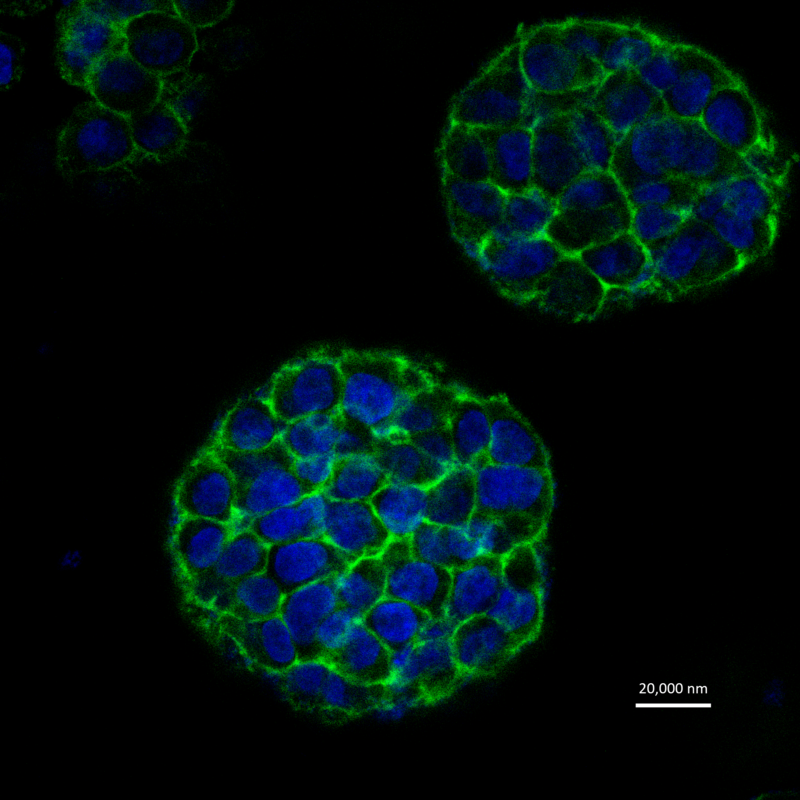 Over 90% cell viability was observed using the defined printing process. Comparisons of 3D and 2D results revealed that Hela cells showed a higher proliferation rate in the printed 3D environment and tended to form cellular spheroids, but formed monolayer cell sheets in 2D culture. Hela cells in 3D printed models also showed higher MMP protein expression and higher chemoresistance than those in 2D culture. These new biological characteristics from the printed 3D tumor models in vitro as well as the novel 3D cell printing technology may help the evolution of 3D cancer study.